Wet slums are slum communities that live in conjunction with the water and many occur around the world. The connection to the water also puts them at risk for climate change and rising sea levels. To aid these communities, Waterstudio.nl has been researching how they can put their know-how of floating architecture to good use. They’ve come up with a series of flexible, adaptable City Applications or City Apps that can aid these communities now and in the event of disaster. With little space available inside the slum, the nearby water provides open space in which to add critical infrastructure to the community. 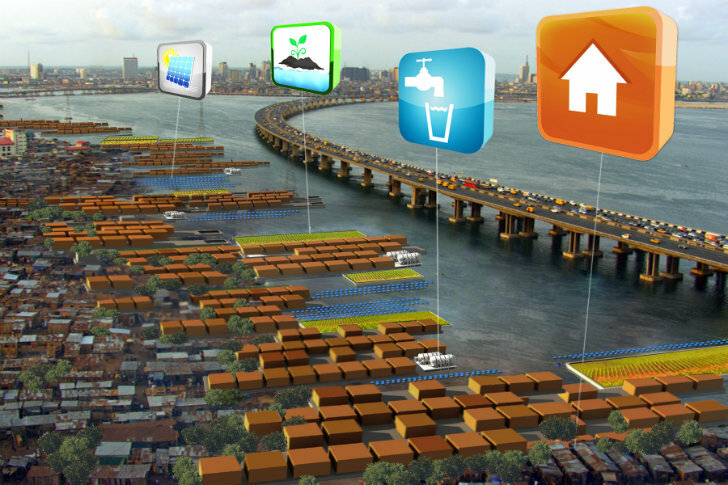 The City Apps consist of four different types of floating infrastructure designs that can provide food, water, shelter and energy. 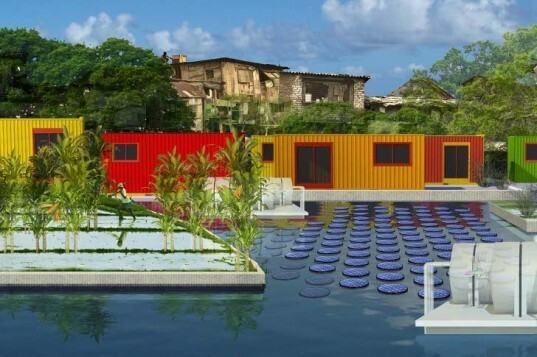 A floating field can be used as a large community garden to grow food for consumption in the slum or produce food that can be sold in the city. Floating sewage stations can provide potable water for drinking and help process waste to improve hygiene. Floating buildings can be used for additional housing or used as schools, clinics or community centers. Finally floating photovoltaic systems generate energy for the community. In conjunction with the design of the City Apps, Waterstudio.nl has been researching about 20 Wet Slums around the world and determining their characteristics. This fingerprinting of the slums will help leaders understand the needs of each community and more aptly be able to provide aid and support especially in the event of a disaster. Waterstudio.nl hopes to partner with more organizations to spread their research and help these communities. Their work was recently awarded the “Architecture & Sea Level Rise” Award 2012 from the Jacques Rougerie Foundation. They've come up with a series of flexible, adaptable City Applications or City Apps that can aid these communities now and in the event of disaster.